A rock-solid, reliable KVM switch for corporate and industrial environments, the StarTech.com's SV231 is the reliable solution for server room and industrial computer environments. 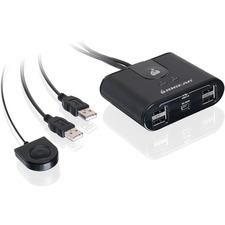 The SV231 is a reliable computer management tool that allows you to control multiple computers from one console minimizing downtime by making connected computers and input devices available as soon as they are attached. An all-metal chassis provides SV231 with a rugged and durable body that adds to the unit's reliability and dependability. 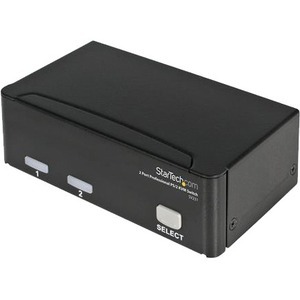 The SV231 StarView is designed to be the most compatible, reliable, and affordable single user KVM switch available. The SV231 is designed to work with Dell, Compaq, IBM and HP servers, all PC notebook computers, and Compaq Alpha systems, ensuring a smooth and reliable operating experience. 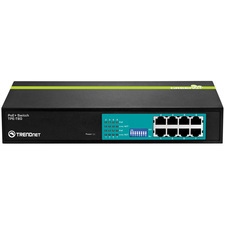 Connected systems are quickly switched between using fast-switch buttons. Its low cost, super small size, and high 1920x1440 resolution display capability make this switch perfect for any application where reliability, compatibility, and faultless operation are important.